La Purísima Mission State Historic Park is a state park unit of California, United States, containing La Purisima Mission, considered to be the most completely restored Spanish mission in California. Ten of the original buildings are fully restored and furnished, including the church, shops, quarters, and blacksmith shop. The mission gardens and livestock represent what would have been found at the mission during the 1820s. Special living history events are scheduled throughout the year. A visitor center features information, displays and artifacts, and a self-guided tour gives visitors the opportunity to step back in time for a glimpse of a brief, turbulent period in California’s history. 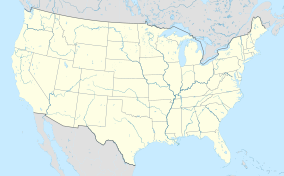 Located outside Lompoc, California, the 1,934-acre (783 ha) park was established in 1935. Misión la Purísima Concepción de María Santísima — "Mission of the Immaculate Conception of Most Holy Mary" — was founded by Father Presidente Fermin de Lasuén on December 8, 1787. 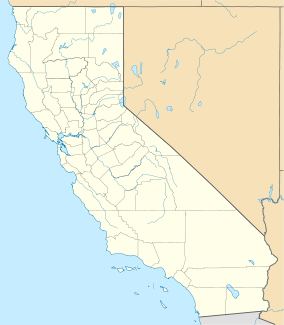 It was the eleventh of 21 Franciscan Missions established in Alta California. A major earthquake on December 21, 1812, destroyed many of the mission buildings. Father Mariano Payeras received permission to relocate the mission community 4 miles (6.4 km) to the northeast in La Cañada de los Berros, next to El Camino Real. La Purísima Mission was officially established in its new location on April 23, 1813. Materials salvaged from the buildings destroyed by the earthquake were used to construct the new buildings, which were completed within ten years. The end of the California missions came in 1834, when the Mexican government, which had gained independence from Spain, transferred control of the missions from the Catholic Church to civil authorities. The property passed into private ownership and the mission buildings fell into ruin. In 1933 the Union Oil Company deeded several parcels to the State of California. Under direction of the National Park Service, the Civilian Conservation Corps restored or reconstructed many of the mission’s adobe buildings. La Purísima Mission State Historic Park was one of many state parks threatened with closure in 2008. Those closures were ultimately avoided by cutting hours and maintenance system-wide. ^ Fodor's (2010-12-21). Fodor's Northern California 2011: With Napa, Sonoma, Yosemite, San Francisco & Lake Tahoe. Random House Digital, Inc. p. 71. ISBN 978-1-4000-0503-1. Retrieved 2011-12-25. ^ a b c d "La Purísima Mission SHP". California State Parks. Retrieved 2012-07-06. ^ "California State Park System Statistical Report: Fiscal Year 2009/10" (PDF). California State Parks: 18. Retrieved 2012-07-06. ^ McGreevy, Patrick; Louis Sahagun (2009-09-26). "State parks to stay open, but with cuts in hours, staffing". Los Angeles Times. Los Angeles, Calif. Retrieved 2011-12-30. This page was last edited on 14 December 2017, at 23:25 (UTC).